Two girls fascinated at a bee caught moments earlier. BioBlitzes are a great way to connect children to nature, allowing them to observe the natural world and encouraging them to spend time outdoors. 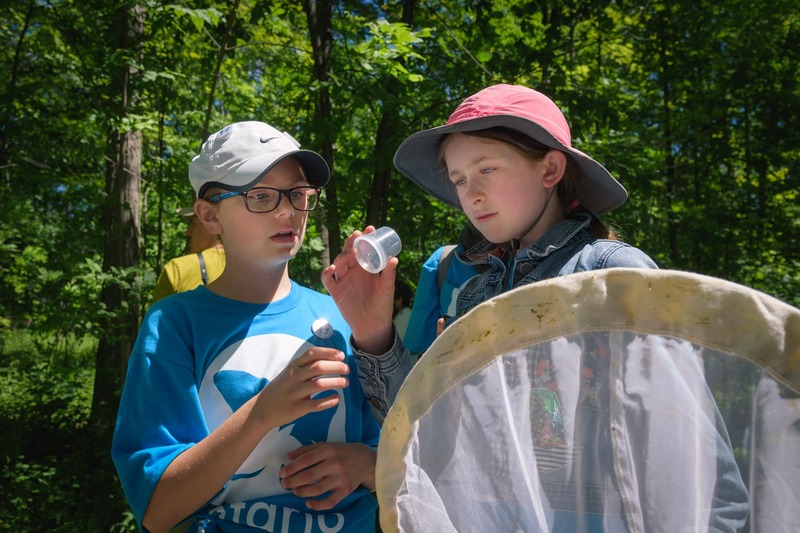 Credit River Watershed, Ontario BioBlitz 2016.